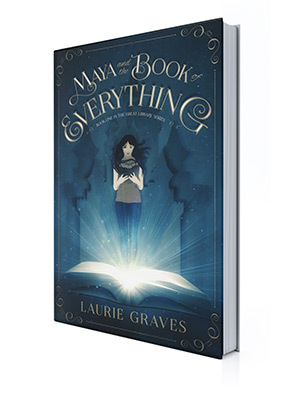 Fourteen Days Until Maya and the Book of Everything Is Published! Such a lot of hard work but very exciting, too. As I’ve written in previous posts, I am so thrilled by the cover, designed by James T. Egan of Bookfly Design. I’ve come to describe the color as “Maya blue,” no matter where I see it. Not surprisingly, blue is my favorite color. However, blue is not Maya’s favorite color—red is—and I mention this as an example of the differences between author and character. But the mysterious Book of Everything, which is literally dropped into Maya’s messenger bag, is blue—beautiful blue, Earth blue, the color of our water planet. Next Post Next Post: Maya and the Book of Everything Is Ready!